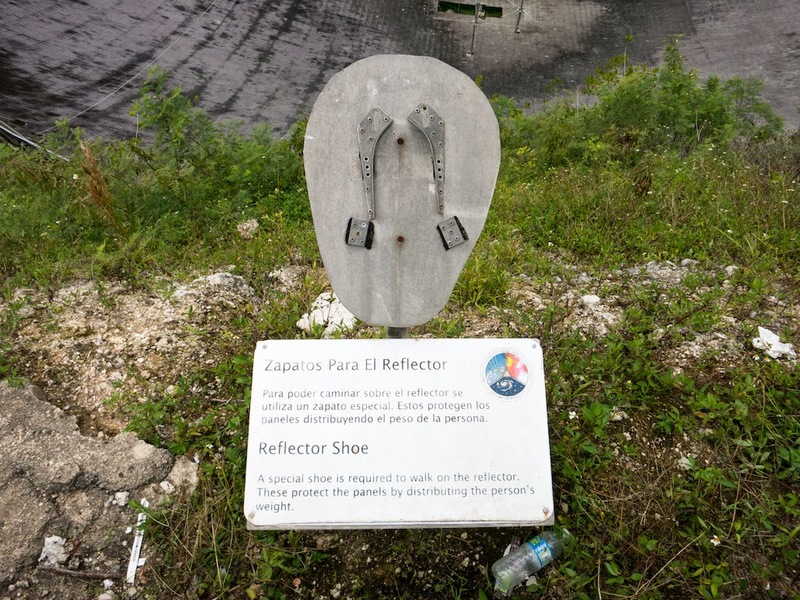 You must be wondering about this by now: the Joint US-EISCAT Incoherent Radar School went to Arecibo, Puerto Rico, and they didn't go to the beach??? Well, of course we did! At least most of us. 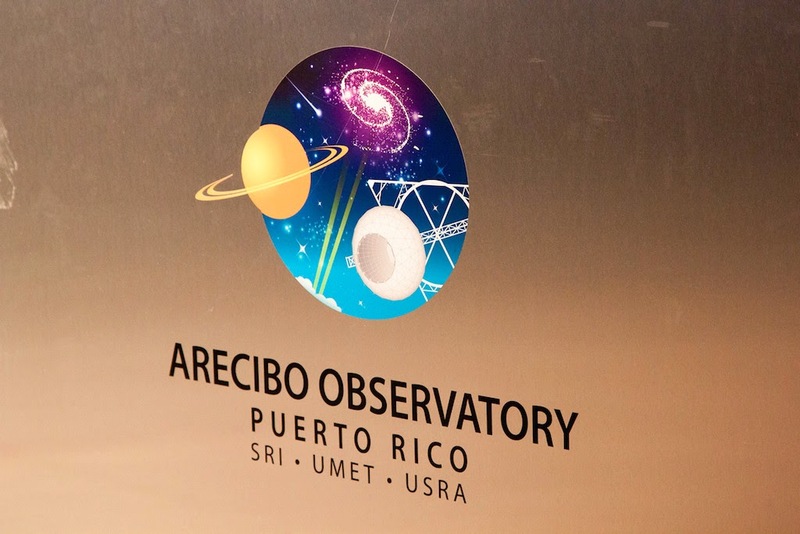 After running radar experiments on the Arecibo ISR (and with Sondrestrom, PFISR, and EISCAT also running in a large support effort) all night on Tuesday straight until breakfast on Wednesday, everyone was carted off to the nearest beach to chill out, swim, sleep, take a break. The programme resumed some time in the afternoon with analysing the night's radar data. 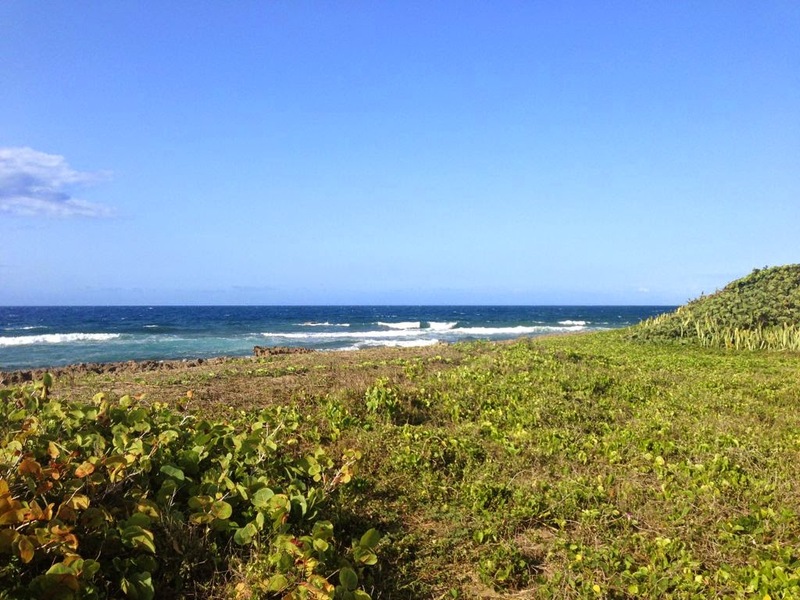 So here are some photos from the beach (at Hatillo), actually taken on the previous day during a mission to scout out the location. 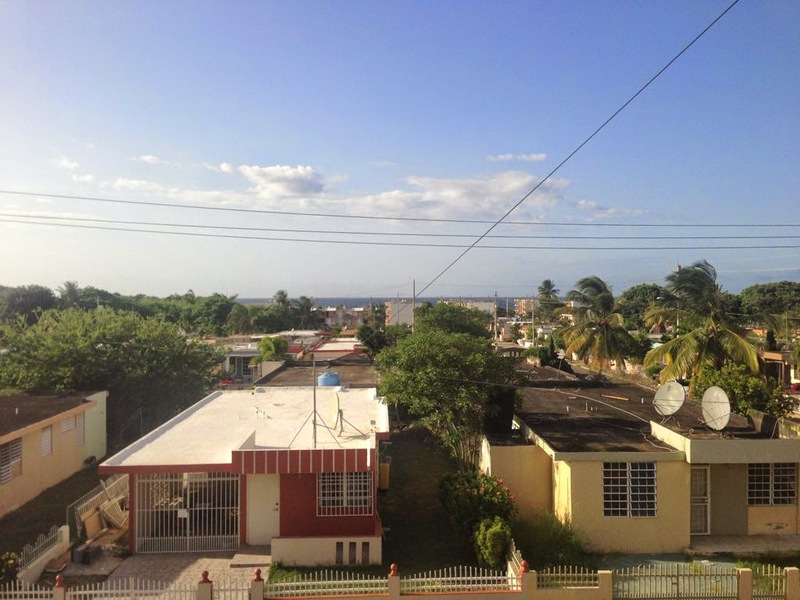 The first photo is the view from the hotel in which the teachers stayed, and you can just see the ocean in the distance. The other photos speak for themselves. 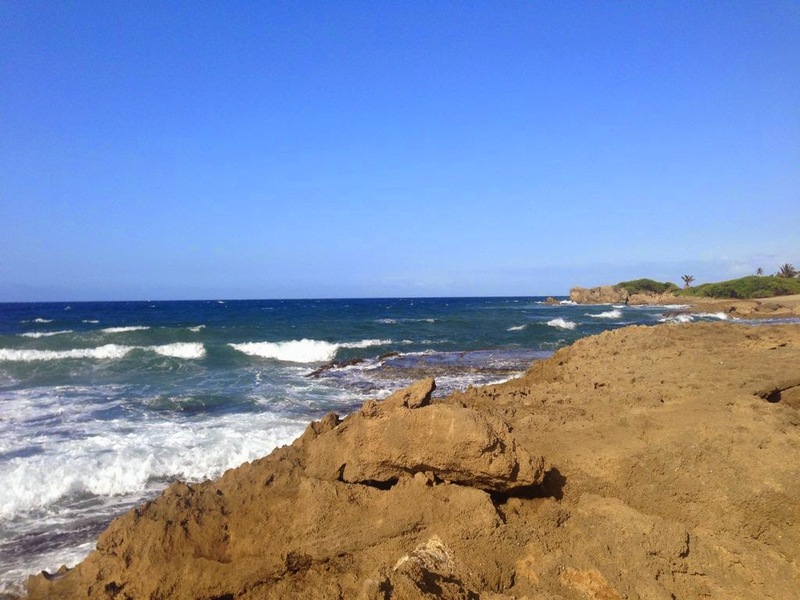 With these thoughts of Caribbean waters and rolling waves we wish all of you a very good weekend! 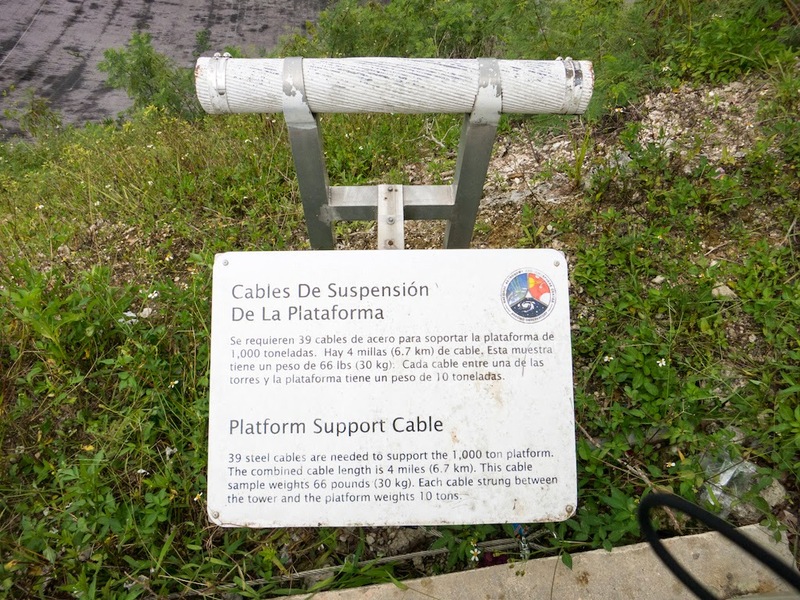 Previously, we wrote about how the so-called platform above the 305-m Arecibo main reflector is suspended from three towers and how it is accessible by catwalk or cable car. But what kind of cables are needed to suspend the 900-ton platform with all the steering mechanics and the transmitter/receiver systems? 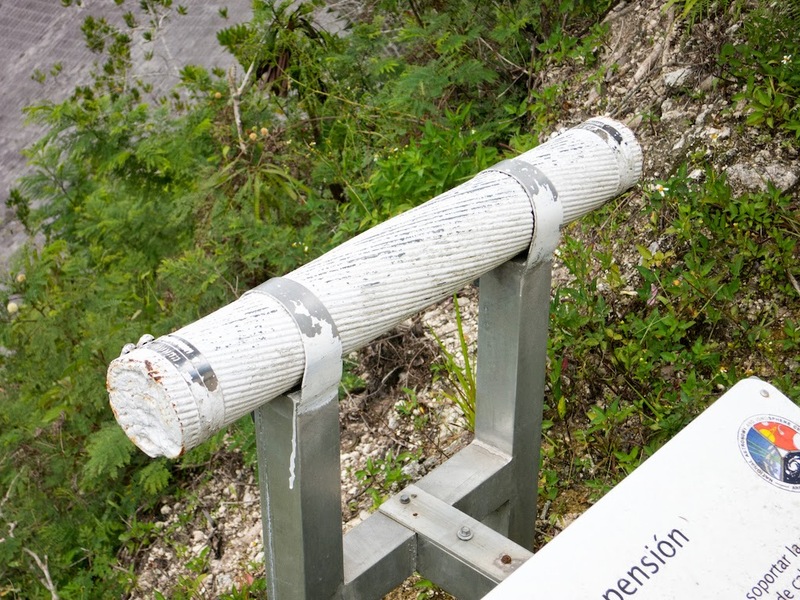 There's an exhibit near the observation platform for visitors, just outside the lecture room where this year's Joint US-EISCAT Incoherent Scatter Radar School took place. These cables thicker than an arm, something like five inches or so. 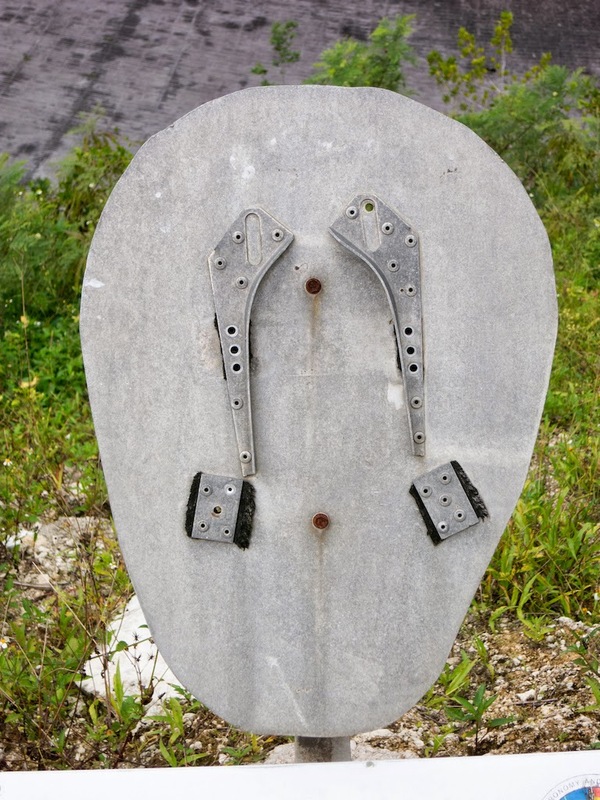 The rest of their vital statistics you can read on the sign (click to enlarge).